It is possible to access the same sense of well-being, clarity, inner freedom, and loving connection realized by the world's meditation masters. We can do this by shifting our awareness in the midst of our daily lives. 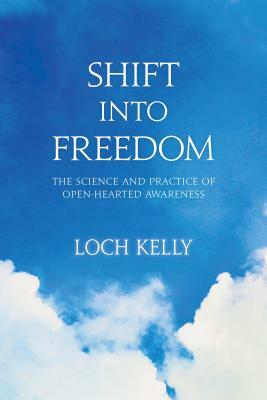 Shift into Freedom presents innovative teacher Loch Kelly's training manual for actively participating in the evolution of your own consciousness. Synthesizing insights from neuroscience and psychology with wisdom from the world's contemplative traditions, Shift into Freedom offers an accessible and remarkably powerful series of meditations that lead us to a little-known natural capacity called "awake awareness." Through an unfolding process of "small glimpses, many times," these exercises shift us from a thought-based knowing to an awareness-based way of operating in the world. With continued practice, we learn to "unhook" from our customary home in our ego-based identity--and then sustain an embodied presence and relatedness known as "open-hearted awareness." Loch Kelly teaches that this is "the meeting place of awakening and growing up, where we have the capacity to handle a fully emotional, intimate life and act with authenticity and compassion." - The paradox of "being home while returning home"
- A user's manual for your consciousness to help you free yourself from the limits of ego-identification and live from open-hearted awareness. Loch KellyLoch Kelly, MDiv, LCSW, is a leader in the field of meditation and psychotherapy. He is author of the award-winning Shift into Freedom and founder of the Open-Hearted Awareness Institute. Loch is an emerging voice in modernizing meditation, social engagement, and collaborating with neuroscientists. For more, visit lochkelly.org.AdyashantiAdyashanti is an American-born spiritual teacher devoted to serving the awakening of all beings. His teachings are an open invitation to stop, inquire, and recognize what is true and liberating at the core of all existence. His books include Emptiness Dancing, The End of Your World, True Meditation, The Way of Liberation, and Falling into Grace.Asked to teach in 1996 by his Zen teacher of 14 years, Adyashanti offers teachings that are free of any tradition or ideology. "The Truth I point to is not confined within any religious point of view, belief system, or doctrine, but is open to all and found within all." For more information, please visit adyashanti.org.